FRISCO - The RoughRiders seized a nine-run lead after three innings of play Monday night en route to an 11-2 victory over Corpus Christi at Dr Pepper Ballpark. Frisco (3-1) benefited from two home runs by Preston Beck as part of a 14-hit attack. The Riders sent six of the 14 knocks for extra-bases. Corpus Christi (3-2) finally broke through against Edgar Arredondo in the seventh. J.J. Matijevic cracked a one-out double off the left-field fence. Chuckie Robinson was next and belted a 2-2 pitch onto the berm in left. Robinson's first Double-A dinger traveled 382 feet. 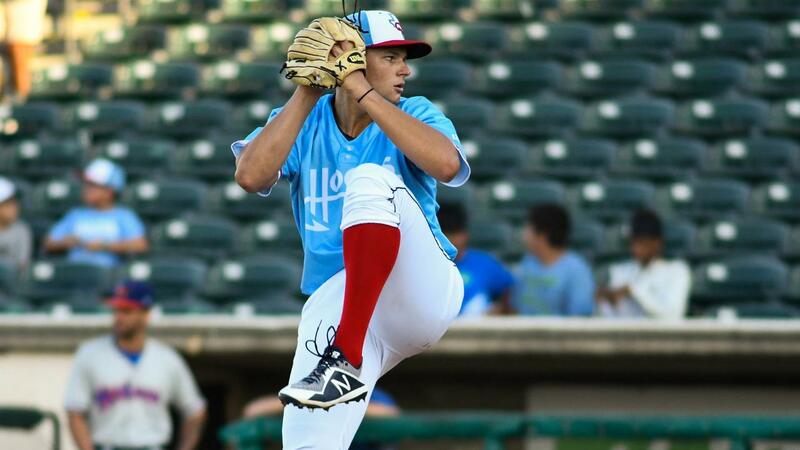 Arredondo, who held the Hooks to four singles over the first six innings, struck out four over 6 1/3 frames. Lefty James Jones stranded the bases loaded in the seventh and Jacob Lemoine posted zeros in the eighth and ninth. Brandon Bielak, making his first appearance of the year, entered in the fifth and surrendered a lead-off homer to Beck. Bielak responded by retiring 11 of the final 13 men he faced. J.B. Bukauskas made the start for the Hooks but was chased from the game in third. Tanner Duncan allowed an unearned run over 1 1/3 innings in his Double-A debut. Corpus Christi is slated to send Gabriel Valdez to the hill Tuesday night. Frisco counters with Pedro Payano. First pitch 7:05.